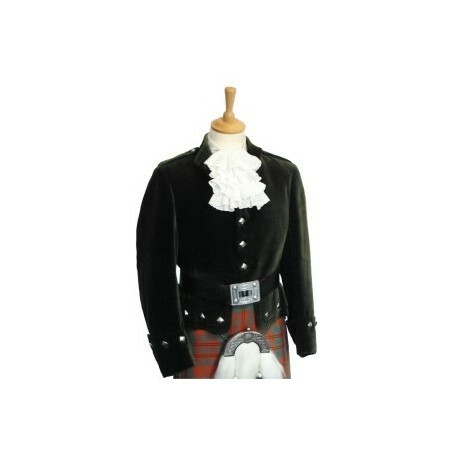 The Kenmore Kilt Doublet is suitable for formal evening events, both black tie and white tie. It is traditionally made from Velvet, but is now also made in Barathea Wool. 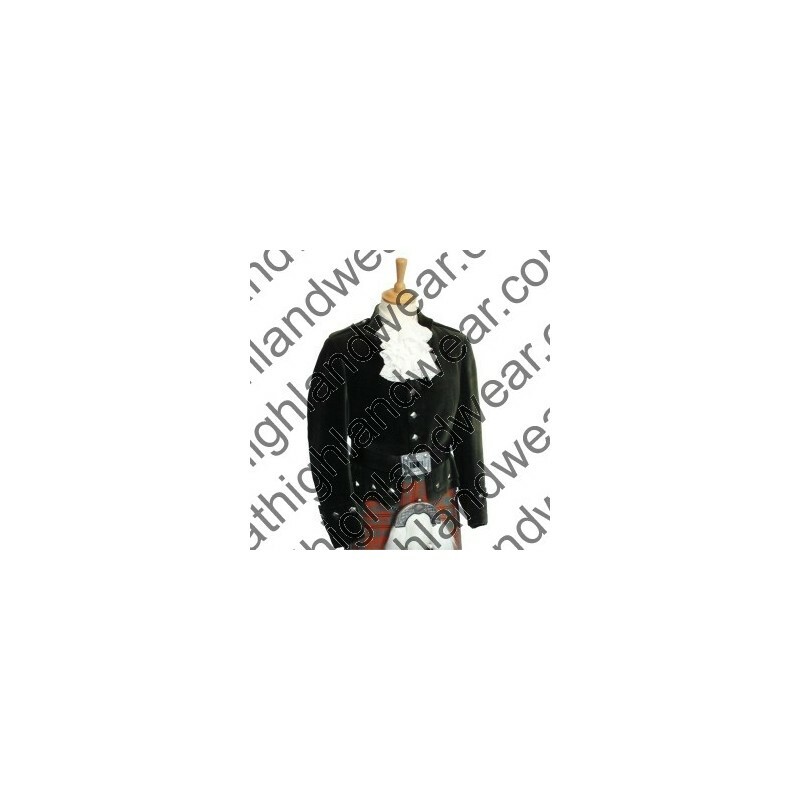 The Kenmore Doublet is a "single breasted" jacket, worn buttoned up and without a waistcoat. It is always worn with a belt, lace jabot & cuffs (as shown but these items are not included). The Kenmore Doublet is named after the picturesque town of Kenmore which lies at the east of Loch Tay.